Tehmina Janjua, w hen she takes over the Foreign Secretary in March 2017, will become Pakistan’s first woman Foreign Secretary. Her challenges are numerous – both within Pakistan (especially vis-a-vis foreign policy decision making structure) and outside – especially with big powers such as the US and immediate neighbours – India, Afghanistan and Iran. Besides the above, she will also have to face rest of the international community – in addressing Pakistan’s negative image. There have been women diplomats in Pakistan, highly decorated, efficient and successful, for example Maleeha Lodhi. 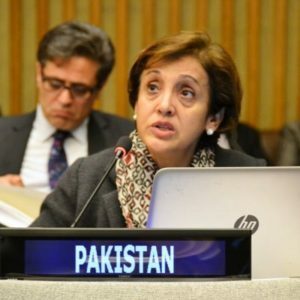 Maleeha, though not a career diplomat, is currently Pakistan’s Permanent Representative to the UN in New York; earlier she has served as Pakistan’s High Commissioner to the UK and Ambassador to the US.